Summertime in Bend, OR is synonymous with bike season. But with more bikes on the road, that means a corresponding rise in bike thefts. After noting a drastic increase in bike theft over the years, the Bend Police Department realized they needed to address the problem head-on. By enlisting Bend's bike shops, the local cycling community and Bike Index, BPD decreased Bend's bike thefts by 60 percent. When the Bend PD started looking at the numbers, they found that bike thefts increased a startling 49 percent between 2014 and 2015, costing Bend's victims an estimated $467,000. Poster courtesy of Dan Ritchie of Bend PD. In response to their findings, the BPD tackled the bike theft issue on several fronts. They formed a Central Oregon Bike Theft Task Force to coordinate with other Oregon cities and law enforcement, allowing members of multiple communities to watch out for the same bikes. The task force releases a “hot sheet” each week of bikes to look out for, to help retrieve stolen bikes being fenced in cities outside of their origin. 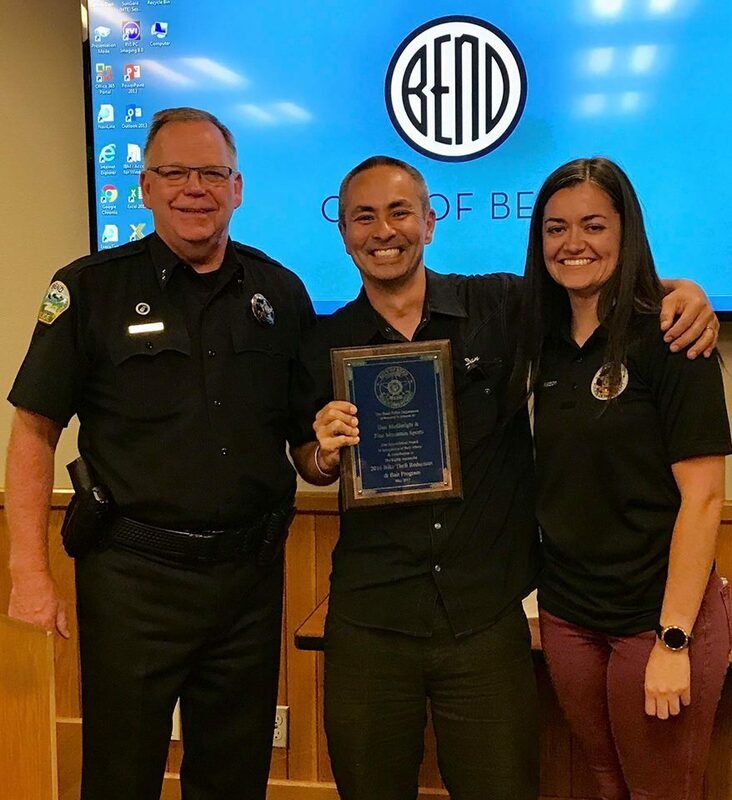 Within Bend itself, the BPD formed the Bend Bike Theft Committee, with members from local shops, commuting and advocacy groups, and Bike Index. This committee consolidated local efforts and promoted residents and shops to use Bike Index. This unique mix of private and public efforts, as well as the number of local groups who were interested in implementing Bike Index, helped keep the funding and costs for the program have been minimal. Between January and June of 2015 and the same months of 2016, the time period of the 60 percent drop, the BPD worked not only to diminish bike theft, but also to make known to bike thieves that their activities were constantly under scrutiny. One of the BPD’s key partnerships was a bait bike program. The police department studied how the thefts were occurring and where they were most likely to occur. A local shop, Pine Mountain Sports, provided bikes for the BPD. Ritchie said after the first arrest, the results seemed to pour in. “We’ve found our bikes with notes taped to them that read, ”Bait” and “Warning This is a Trap”. We went public with the use of the bait bike so that suspects were aware and would think twice when considering taking a bike and that seems to work,” said Ritchie. The program led to 21 arrests. They have made two more arrests in the past two days. The BPD presented Pine Mountain Sports owner, Dan McGarigle, with an award last month for their collaboration with the Bike Theft Task force. Photo courtesy of the City of Bend, OR Facebook. “They know that cops are working with bike shops and they can’t just grab any bikes,” said McGarigle, of Bend's bike thieves. In 2014, as the BPD was looking for ways to diminish this bike theft, so were shops such as Pine Mountain. Pine Mountain was the first in Bend to recover a bike via Bike Index when they saw it on Craigslist and knew something was off. Henry Abel, who handles the marketing for Pine Mountain, did a lot of work to bring Bike Index to Bend. Abel said Pine Mountain and the BPD kind of each discovered Bike Index independently. When they realized that both city and commercial groups could use Bike Index the same way and collaborate against bike theft, it cemented the deal to implement Bike Index throughout Bend. 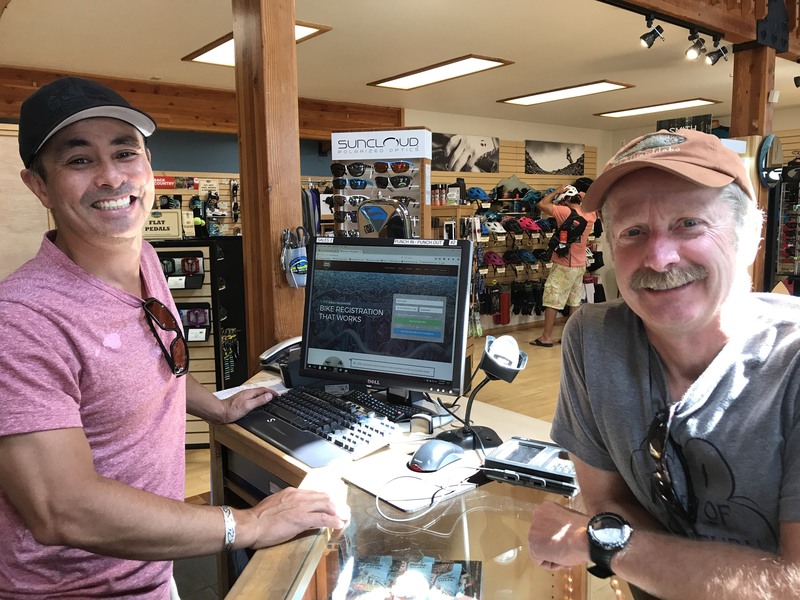 McGarigle and Pine Mountain train their staff to go through a specific safety checklist with each of their customers, which includes obvious steps such as purchasing lights, but also entails registering each bike they sell with Bike Index. Teaching their customers about theft prevention promotes bike safety. Dan McGarigle registers a customer on Bike Index. Photo courtesy of Pine Mountain Sports. “If you want to prove to your customers that you care about them more than your competition, it’s this,” said McGarigle. 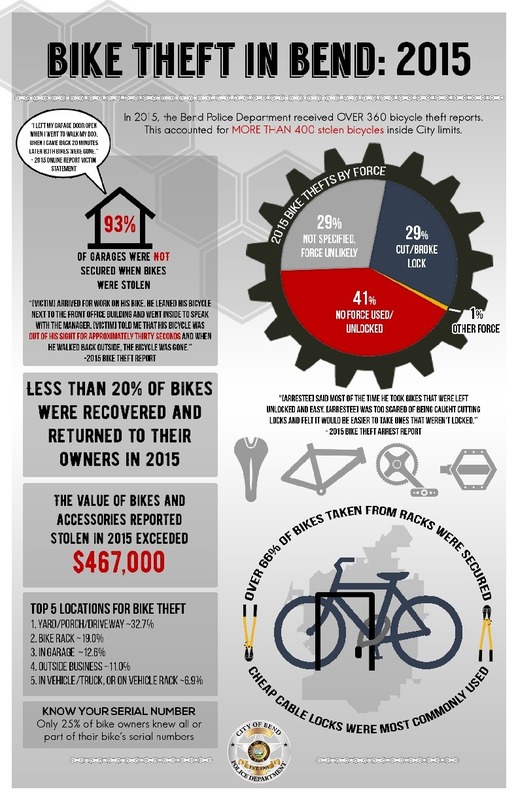 And competition aside, bike theft affects many businesses in town. Pine Mountain was key in hosting Bend's first bike theft meet up and enlisting other shops nearby. “If you truly care about the cycling community and you want to provide your customers with a better and more involved experience, then Bike Index is a great way to do it. It shows your customers that you care about your purchase. I don’t know of a customer who would say ‘no I don’t want that,’” said McGarigle. Abel makes the point that registering your bike takes just a few seconds, but could end up saving you thousands of dollars if the bike gets stolen. Registering isn’t a surefire way to recover your bike, but it exponentially increases your chances. And with Bike Index, the more people that use it, the even higher chance that it’s recovered. “As retailers, people will forget what we do and forget what we say, but they will remember how they feel. Pine Mountain cared? You can’t buy that,” said McGarigle.